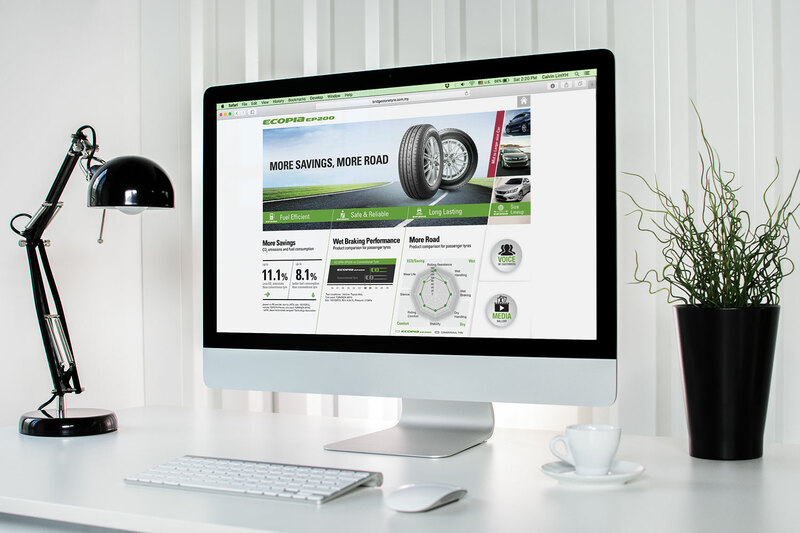 To reflect Bridgestone Ecopia’s position as the answer to eco and cost-saving tyres, a preference for cleaner design is often evident in its advertising and marketing materials. 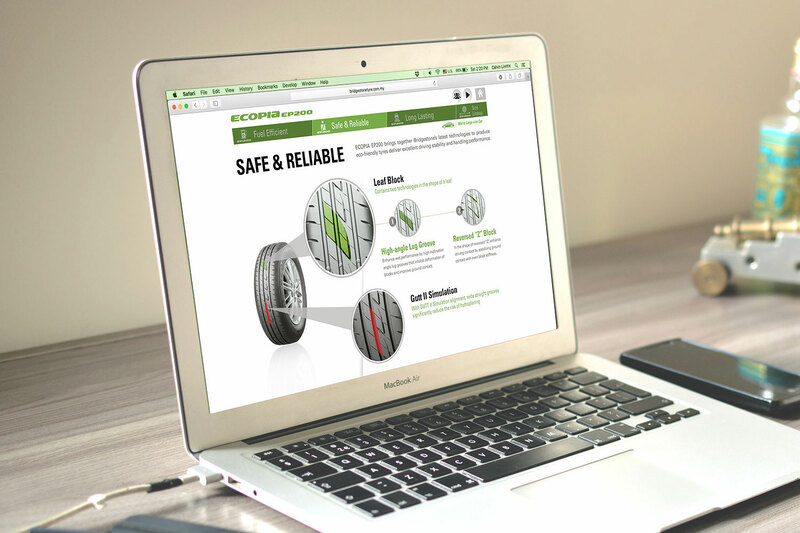 For the Ecopia microsite, we wanted to work within that visual framework – but with a twist of our own. We started out with a single diagonal line and expanded on it, slowly building layers of information around it to create a layout that was clean, consistent, yet dynamic. 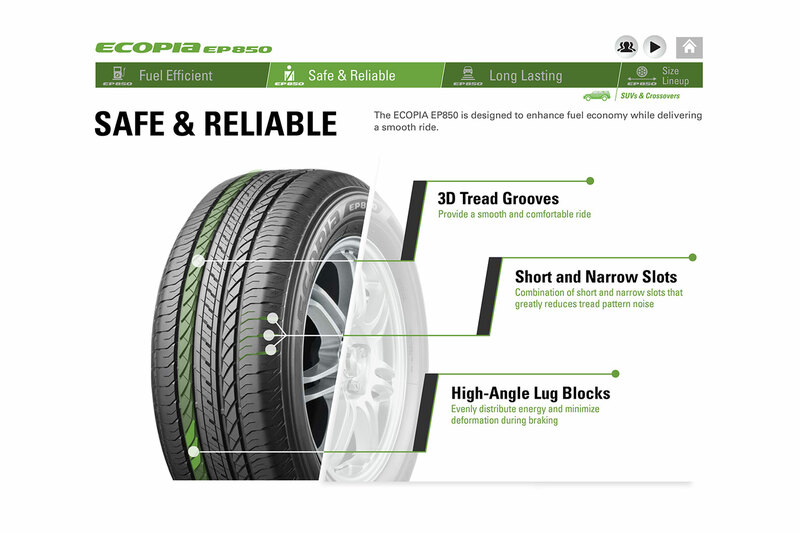 Click to view : Ecopia / RE003 / Techno microsite.